UJ and I have written before about JT’s Pizza, our nephew Joe Hartnett’s business up in the north Columbus area, on Route 161. 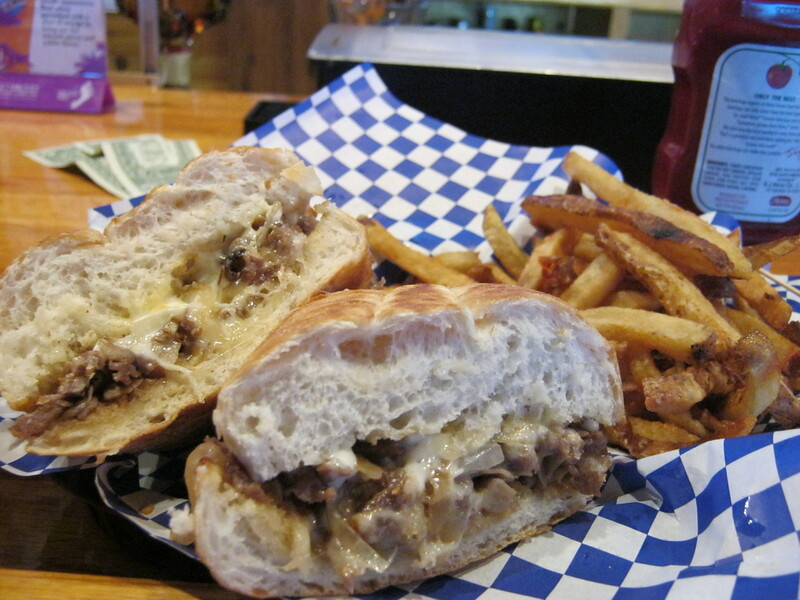 It serves great pizza and, in UJ’s view, the best Philly cheese steak sandwich you can get anywhere in the Midwest. Now JT’s Pizza has acquired the former Bier Stube North bar located right next door and will become JT’s Pizza and Pub, offering both great food and drinks and, from time to time, live entertainment in the location at 2832 West Dublin-Granville Road. Renovations of the interior and exterior of the building have begun, and the goal is to give the new business more of a neighborhood sports bar vibe and better integrate the backyard and patio into the operation. A “rebranding and relaunch” of the new business is set for November 7. Our Dad ran a business, and he would be proud of what Joe has done with JT’s Pizza. It takes some courage to start a business — statistics tell us that a lot of new start-ups fail within the first year — but Joe has produced tasty products, focused on customer service, paid attention to the bottom line, and grown the business from a shop that prepared pizzas for the bar next door’s patrons to an operation that now offers an extensive menu and has lots of carry-out and delivery customers in addition to providing the food service at the Bier Stube North. Buying the Bier Stube North and consolidating the operations is a big next step, but it’s also a logical one. And it all starts with pretty darned good pizza. So here’s a tip of the cap to JT’s Pizza and Pub and its owner Joe Hartnett, one of those small business owners who take risks, create jobs, and help our economy grow. If you find yourself in north Columbus with a hankering for a pizza, a Philly cheese steak sub, or a cold adult beverage, stop by JT’s Pizza and Pub, won’t you? 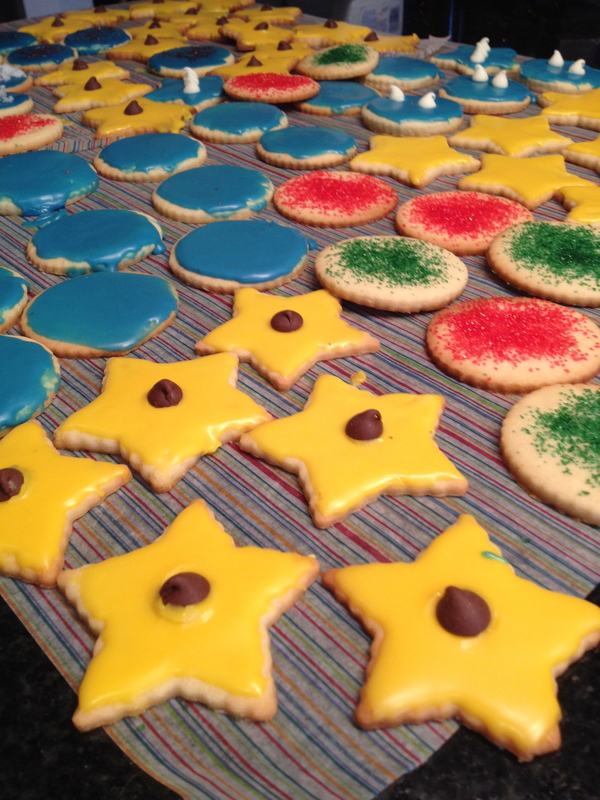 If you live in Worthington or nearby — I’m thinking of you, Dr. Science and Mike N! — I encourage you to get to the Taste of Worthington 2014 tonight. Our nephew Joe and his business, JT’s Pizza, will be at the Festival, serving up some of delectable assortment of pizzas and other goodies. Joe has worked hard to come up with a diverse menu and is always experimenting with new options; like any smart restauranteur he focuses on serving high-quality food to his customers. UJ, who isn’t normally given to overstatement except when praising the talents of his brother, has unambiguously declared the JT’s Pizza Philly Cheese Steak sandwich “the BEST Philly Cheese Steak sandwich I’ve ever tasted in my lifetime.” It is pretty darned good, and while you’re gobbling it or one of Joe’s other tasty offerings you can smack your lips, savor the flavor, and feel good about the fact that you’re also supporting a locally owned and managed business. The Taste of Worthington kicks off at 5:30 tonight in the parking area of the OfficeScape Corporate Center, 350 West Wilson Bridget Road, and goes until 10 p.m. Yesterday I had the afternoon off so I decided to kill two birds with one stone and headed to JT’s Pizza to visit with my nephew while getting my monthly fix of the BEST Philly Cheese Steak sandwich I’ve ever tasted in my lifetime. 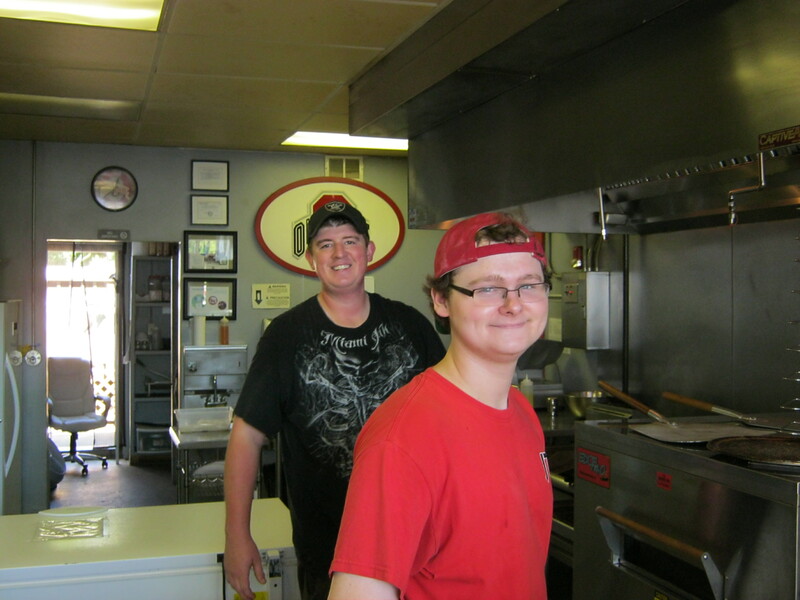 Our nephew Joe Hartnett (pictured behind my nephew Danny) is part owner with Todd Swan of JT’s Pizza and they started their business a couple of years ago priding themselves on using high quality ingredients and serving them at a reasonable price. While I was waiting for my sandwich I couldn’t help but notice the board they have posted with the number of sales records they are setting in 2012. Joe, I am proud of what you have accomplished in such a short time, especially during a time when a lot of businesses are struggling. Your hard work and perseverance are paying dividends and I know that your grandma is proud of you too. In fact we are all proud of you ! The philly sandwich is a half pound of philly steak blended together with sauteed mushrooms, onions and green peppers (I like mine without the green peppers) topped with cheese and mayonnaise with fresh cut fries for only $7. Rumor has it that truckers stop at JT’s on their way through Columbus just to get the Philly Cheese Steak sandwich which they say is the best in the Midwest and I wholeheartedly agree with them – it is fantastic ! Their pizza is killer too. 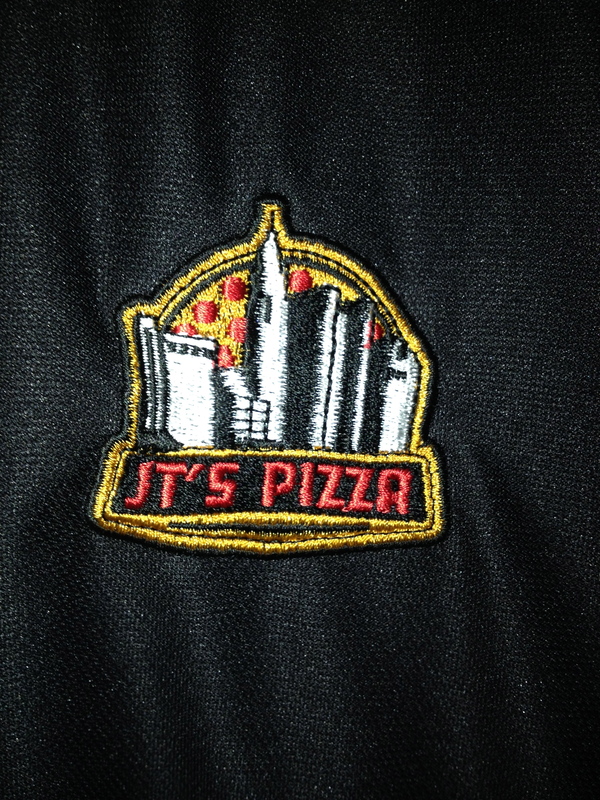 So if you live here in Columbus check out JT’s pizza just west of Linworth Road on 161 next to Valvoline. The website is http://www.jtspizzacolumbus.com. Keep up the good work Joe – see you next month for my fix !